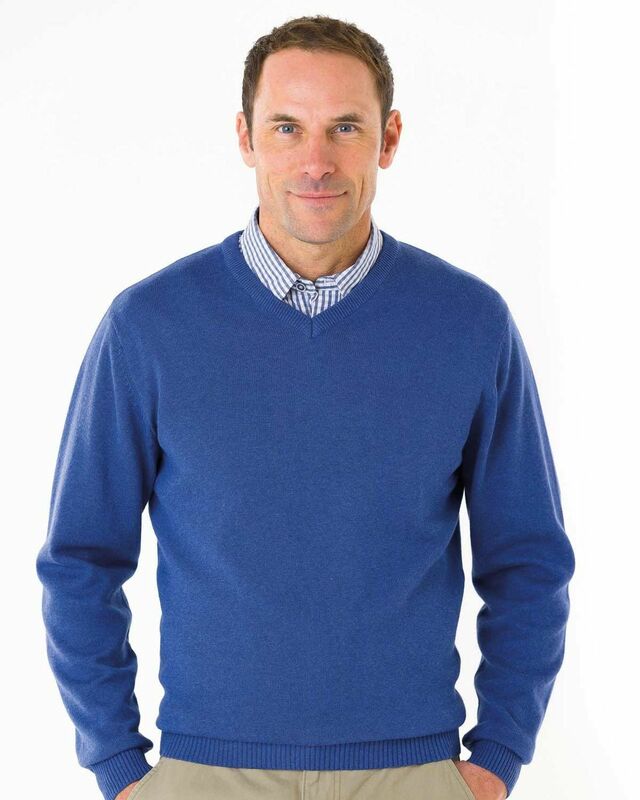 Mens V Neck Sweater. 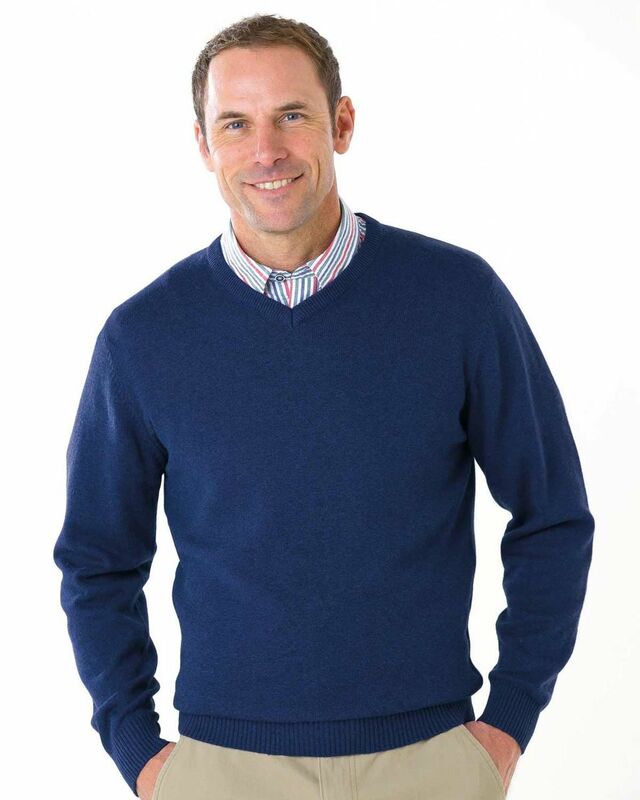 Knitted in pure cotton. Machine Washable. 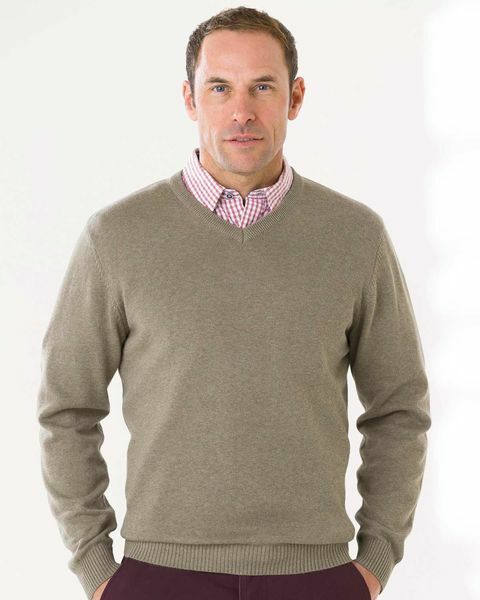 Knitted in pure cotton in a fully fashioned style sweater with ribbed neck and cuff and contrasting inside neck trim.